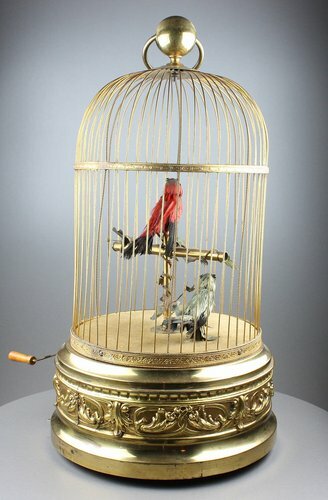 When wound and start/stop lever from underside actuated, the perched bird and base perched bird turn to move naturalistic beaks, tailfeathers and heads from side-to-side to continous synchronised birdsong. 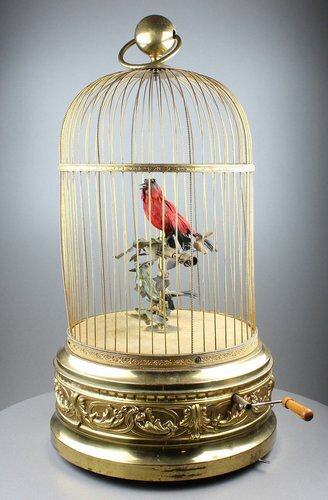 The red and black plumaged bird with wide fan tailfeather upon brass T perch with ivy leaf decoration, above ice blue and cream feathered plumaged bird with black outline to the brown velvet base, under circular domed cage with hoop and boss top, single scroll-tie detailed intermediate band with every sixth cage bar of rope twist form, on good pressed gilt metal base with abverse leaf scrolls with interupted oval chainlink unions, raised plain moulded plinth, winding crank to side. 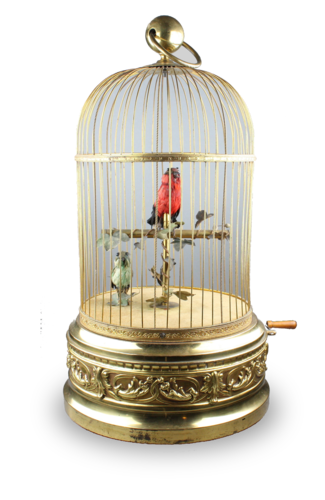 Correct pre-1920 singing birds-in-cages which have two or more birds, should take it in turns to sing, whilst moving heads all the time. 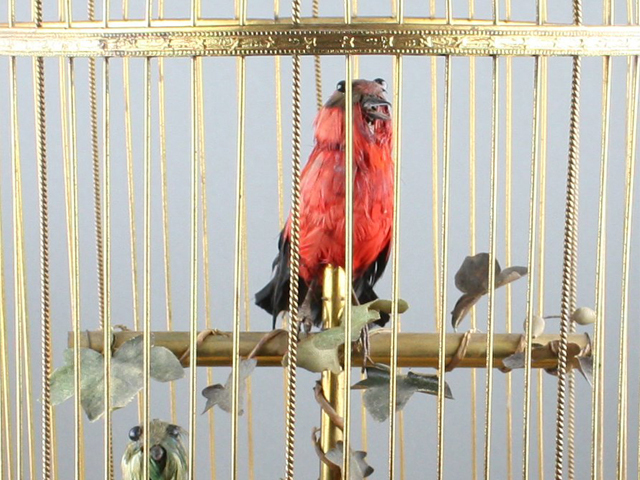 This way, as much attention and concentration is displayed, even when one particular bird is not singing - none remain static. 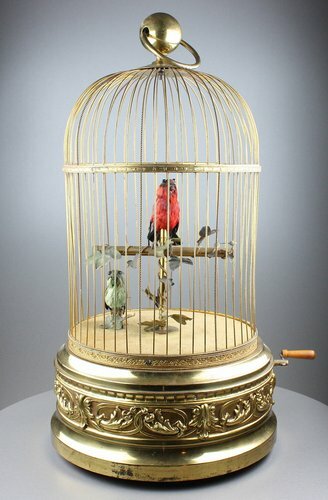 This is thanks to having two cams - one for song, beaks and tailfeather, the other for heads - for keeping the illusion as close to reality as possible. Welcome to the world of Bontems.